Governor Haruhiko Kuroda’s tiny tweaks to ultra-loose policy will agitate global asset prices more than the actions of his U.S. or euro zone peers. Higher domestic yields are set to lure Japanese money back from U.S. credit or European debt markets and the yen will be buoyant. Japan's central bank became the first of the Group of Seven rich nations to own assets collectively worth more than the country's entire economy, following a half-decade spending spree designed to accelerate weak price growth. 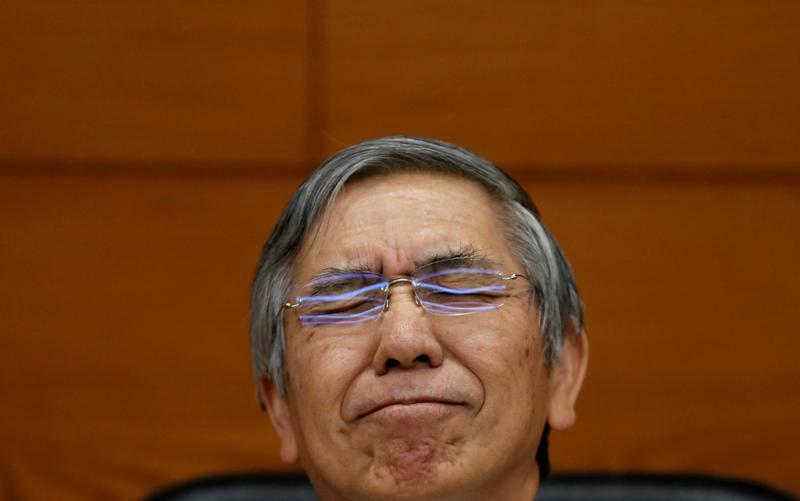 The Bank of Japan owns roughly 45 percent of Japan’s government bond market.